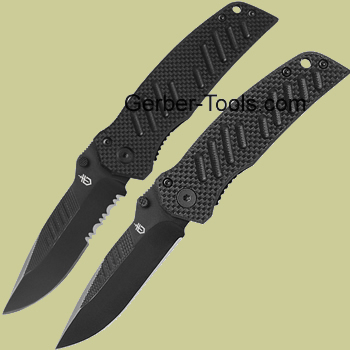 Gerber Swagger and Mini Swagger Clip Knife Combo 31-003210. The Swagger knife models in normal size and mini size. Call them big and small, or junior and senior if you want. Either way they're the same knife in different sizes, and offered for a killer combo deal. Both have the G-10 scales on the handle and both have 7Cr17MoV stainless steel on the blade. The Swagger is a 3.2 inch partially serrated knife and the Mini Swagger is a fine edge that is 2.7 inches. 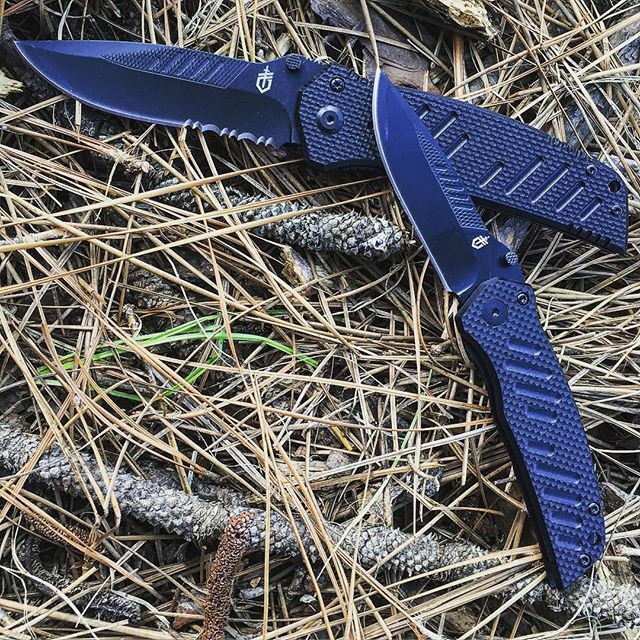 Both have frame lock safety function, pocket clips and dual thumbstuds to open up blade. Swagger over and get both of these to add to your collection before they run out. Limited quanities available.